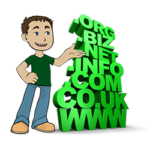 If you have a website or blog then monetization is something that needs to be thought about. Some people don’t want to make any kind of money from their website or blog and just want to show the content they choose without any desire to make any kind of money from their website visitors. This is perfectly fine if that is what a person wants. However most people with a website or blog are looking to make some kind of money from it. 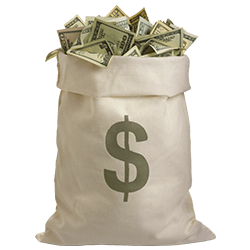 Whether you just want to make enough money to cover any costs that having a website or blog brings or if you would like to make more than the costs of having the website you need to think about ways to monetize (make money from) your website or blog. Having your own website can cost money in many ways by having to pay for web hosting (if you aren’t using a free hosting service), paying for your domain name registration and renewal fees (again, if you aren’t using a free service), advertising and/or promotion of your website if you so choose or any number of other expenses. So with these costs most people will want to do some sort of advertising on their website or blog of find another way for their site to earn money for them to help cover these costs and even make money on top of your website expenses. 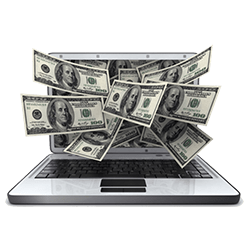 One of the best ways to monetize your website is to have advertising for products or services that companies will pay to have their ads on your website or blog. Now depending on how many visitors you get come to your website this has a big impact on how much money you can make from the different advertising programs that are available to use on your site. 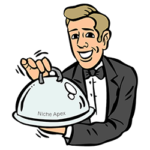 The more visitors to your website then the more chances you have that some of these visitors will make you money by buying some product or service from your advertisers. 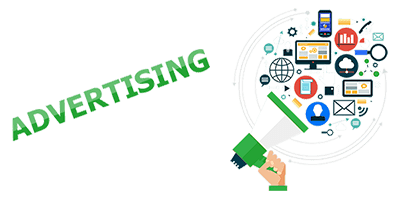 Their are some advertising programs that are out there that you can put on your website will pay you just for a visitor to click on an advertisement you have on your website and visit the advertisers link that the ad leads to. The most popular and biggest program of this type is called Google AdSense. This program is not the easiest to get accepted into but there are millions of people out there that make good money off of Google AdSense and it is a program that many website or blog owners strive to get into. I will talk more in depth about Google AdSense in some other articles. 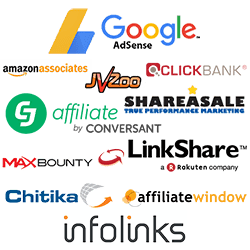 One of the easiest type of advertising programs to have on your website or blog are called affiliate advertising programs (also called affiliate marketing programs). These type of programs are what are found on most of the websites or blogs that you will find on the internet. In general how these programs work is that you place different size (depending on your needs for your website design and layout) ads on your website and when your visitors click on these ads they are taken to the advertisers link pages. 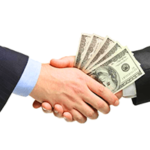 If your visitors then buy a product or service that the advertiser is selling you make money from that. It is usually a percentage of the sale but sometimes there is a flat amount you are paid no matter what your visitor spends. There is basically no limit on the amount of money you can make, it depends highly on the number or visitors your site has coming to it. There are people out there who make millions from the advertising on their sites. As a matter of fact the top Google AdSense earner makes over 10 million dollars per year from their website. Now I am not telling you that you can make that much money from your website because odds are you won’t. I just want to let you know that some people out there make an extreme amount of money from their websites. What many people strive for is to make a comfortable living doing nothing more than operating their website or blog and this is a very reasonable and achievable goal. I believe a reasonable goal like this is something a website owner can achieve if they are willing to put the required amount of dedication into their website or blog and do their best not to stray from their goals. If your site should achieve making more money than this then that is great and obviously you are doing special. When it comes to monetizing your website or blog be sure to set reasonable and achievable goals and when you reach those goals you may set higher goals if you so choose. 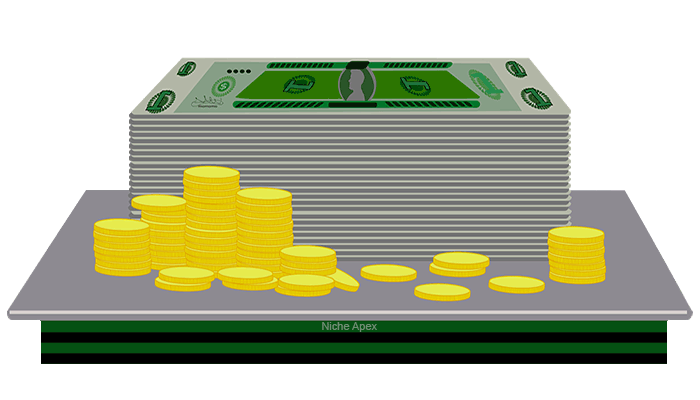 Weather you want to monetize your site to just make enough money to cover your operating expenses or if your goal is to make a living from your site Niche Apex wants to help you reach the Apex in whatever Niche your website is in.